More tiger trout arrive at the Sportfish Game fishing Centre! 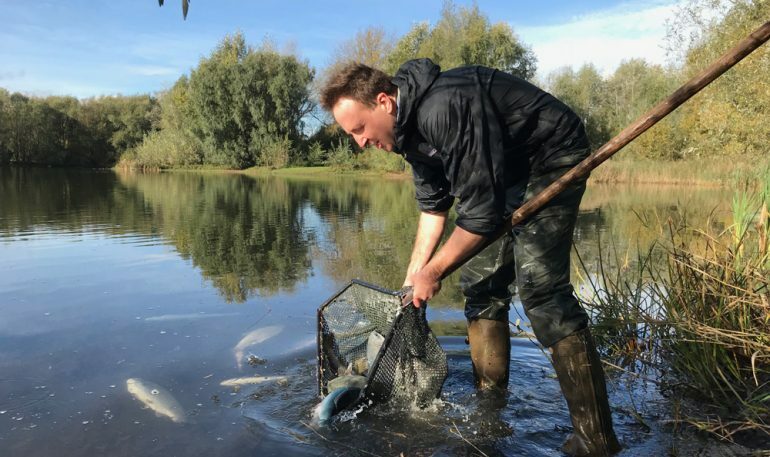 The tiger trout population of Hobby Lake has provided scintillating fishing all summer, with fish to over double figures caught and returned, indeed fishing for them was the highlight feature of a BT Sport ‘On the Bank’ TV show earlier in the year. We have now been able to source an additional supply of fish and last week we boosted the lake’s population by a further 35 tigers! A cross between a brown trout and a brook trout these are striking looking fish and are likely to provide some exceptional sport on Hobby this summer.